I feel like I can't be the only one really feeling the colour blue at the moment? Blue and pink have both wormed their way into my wardrobe and I've gotta admit, I'm not mad about it. I picked up this super cheap H&M top a few weeks ago and DIY'd it a bit by removing the elastic in the hem of the sleeve to take away a bit of the 'little Bo-Peep' vibe and I'm glad I did. 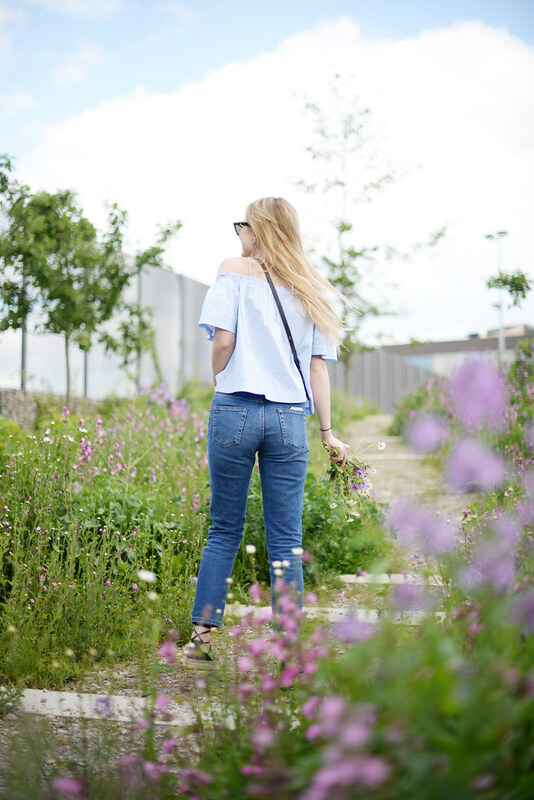 I thought I'd go all out blue and pair it with my trusty BDG girlfriend jeans and my old reliable Topshop espadrilles that've now made a convenient comeback and are everywhere! What do you reckon, blue for Spring? I love that you add your own touch to this top and made it different! There's no substitute obsession for a immense love substance what's wrong with reception at this world most gorgeous things beloved.